My wife and sons are on spring break this week and spent their first day off traveling to Lego Land. While there, they met with a master builder, which sounds like an amazing job, and built various Lego “things”. I spent three hours that night building “Lego things” with my sons on the floor of our living room. It brought back many great memories of my own childhood and the hours spent with my brothers building all sorts of things with our 30 gallon Rubbermaid tubs full of Legos. Let me clarify that when I say Legos, I mean the blocks, not the prefab kits. There were no instructions and what we created was purely a product of our own creativity and imagination. Not to sound like an old man…(I turn 30 in May)…but kids these days all have pre-made kits with instructions. They are simply following directions to make the predetermined vehicle, building, or other object. Yes, there is still value in building this way, as with building a model airplane and other fine-motor skill work. However, I feel as though the creativity and imagination is being lost. 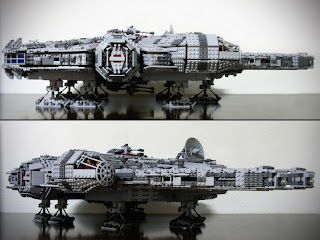 When I wanted to build the Millennium Falcon, I did it on my own without pre-made pieces and step by step directions. I will attempt to compare this Lego evolution to a classroom since this is in fact a pseudo-educational blog. In most classrooms, we are seeing more pre-fab work being done in the form of worksheets, standardized testing, and rigid curriculum. Students are being taught to follow directions and if they do their work exactly like we tell them, they will succeed. If they deviate from our plan, they fail. Just like if I don’t build that Falcon as indicated in my ten page manual, it would fail to look perfect. 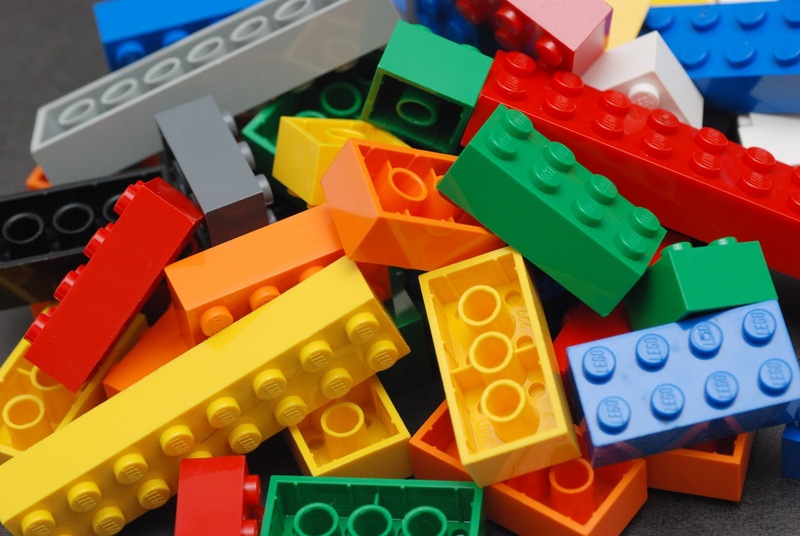 Should our classrooms be more like that 30 gallon bucket of random blocks, pieces, and the odd rubber tire that was great to chew on when you were seven? Or, should we give students rigid directions and create great instruction followers. I know there is some negative hype around standards, but I like some focus with what our end game should be. I wouldn’t be able to drive my car without a destination or at least a rest stop. Give students those standards, checkpoints and the tools to achieve them. Then step out of the way and let creativity, imagination, and natural curiosity to take control. 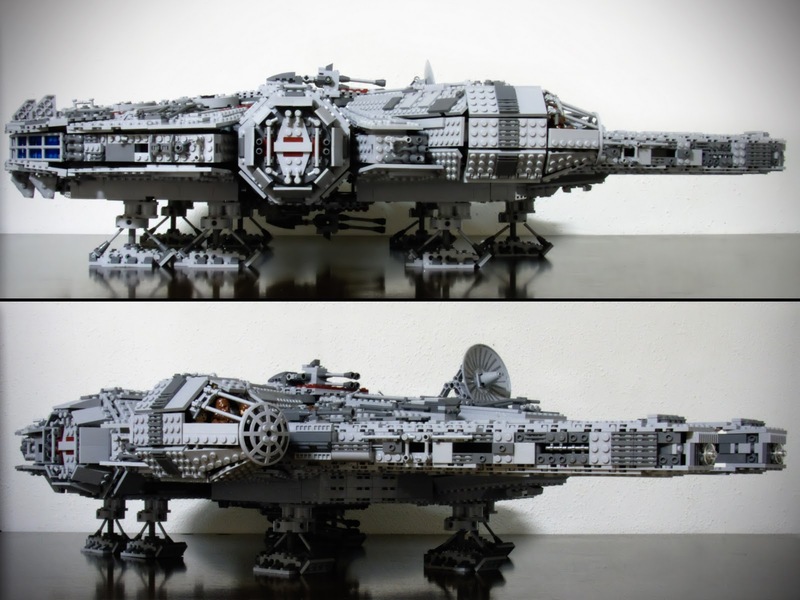 Are you giving your kids the Mellienium Falcon kit, or a 30 gallon bucket of Legos? I think there can and should be a balance between giving students freedom and having specific directions that need to be followed. I am working on a project with my freshmen and sophomores right now and I am giving them total ownership of their writing. Some of my students have embraced the opportunity while others are lost without me telling them exactly what to create. I definitely agree with your statement that kids "have pre-made kits with instructions" and that it is stifling their creativity in a big way. However, I think students also need to be able to follow a specific set of instructions to complete a task. Thanks for the thought-provoking post! By the way, I also turn 30 in May and often find myself saying things like "when I was a kid..."
Thanks for this post. I also had the tub of lego and was astounded when we began buying lego for my son that most of it was kits. He first got random samples to build a base of skills and creativity and now we are buying some kits for him. What I love about him is that after he builds the kit he always goes back an recreates with his imagination and his other pieces. He never keeps his kits separate, instead choosing to throw it all in together. In my ELA classrooms (gr 7-12) I have just begun moving away from the kit approach to the tub. It hasn't taken over my practice yet but I'm moving in that direction and have even begun recreating my own year plans for next year with more of that sort of focus. Today I had three grade 10 students ask to read through The crucible alone and post their questions to our todaysmeet.com site rather than participate with the class in the group read. This is their second time through the text and they already proved they have a good understanding of it from a comprehension test and so I said "sure, why not?" The question was more to myself, knowing that in the past (even a month ago) the answer would simply have been "NO." But if they are on task (I could track their online posts along with the group) then really, "Why Not?" was the big question. I was proud of myself today for that on-the-spot decision and those students witnessed a teacher listening to a polite request for personalization with an open mind. "Students are being taught to follow directions and if they do their work exactly like we tell them, they will succeed. If they deviate from our plan, they fail." At 30, I, like you, also remember having that giant tub of Legos... and still have one sitting in my classroom for my students to use (it comes in really handy for stop motion). This Christmas, one of my students gave me a Lego game called Creationary (http://shop.lego.com/Product/?p=3844&CMP=KAC-GOOGEU&HQS=lego+creationary). I think you and your students would really like it. It's like Pictionary; you build what is prompted on the card and your team guesses. What's nice is that the prompts are cartoon pictures on the card and you just have a box of random lego parts. It's all up to your imagination. :) You should definitely check it out!! Legos are still one of my favorite toys and my kids have quite a collection. When my days seem out of control, I love to sit for hours and organize and create things with my children's legos. I buy them at yard sales by the pound, in kits from the store and I still have some of my original legos. My kids follow the instructions the first time, then use their building knowledge to create something new and far more creative than the original design. In essence, isn't that what we are trying to do with our students? We give them the structure so they can apply the tools to create something we haven't even thought of yet. We recently finished building a Lego Taj Mahal. I can't wait to see what they will create next. It won't look anything like the Taj, but it will be new and come from their minds.